Health There are 16 products. 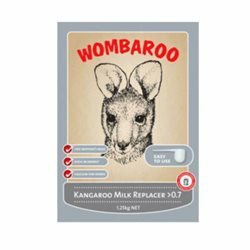 Passwell Wombaroo Kangaroo Milk +0.7 (1.25Kg) is a nutritionally balanced milk substitute for macropod (kangaroo & wallaby) joeys with greater than 70% of their pouch life completed. 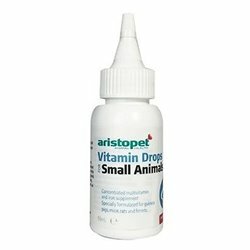 The Aristopet Small Animal Vitamins contains balanced levels of twelve essential vitamins plus iron required to maintain normal growth, development and optimum health of small animals. 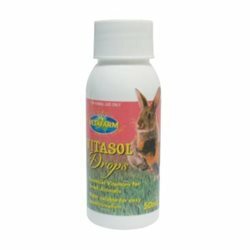 Aristopet Wormer For Small Animal is a pleasant tasting and palatable worm syrup for the removal of round worms (ascaridia sp.). 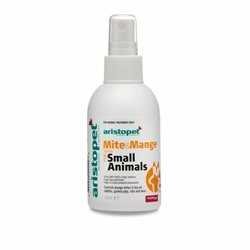 Aristopet Mite and Mange Spray for small animals safely controls lice and mites on guinea pigs, rabbits, mice and rats. It can be also used to treat their environment. 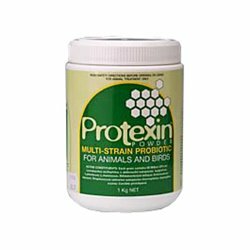 Unlike many other Probiotics that consist primarily of a single strain of bacteria, Protexin consists of seven different naturally occuring bacteria. Rufus & Coco Happy Hutch & Cage is a professionally formulated broad spectrum disinfectant spray that is designed to effectively clean cages, hutches and pens in one easy application. Leaves a fresh apple scent. 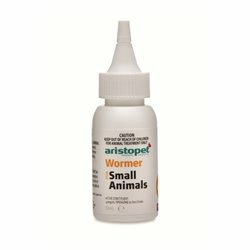 Aristopet Wormer For Small Animal is a pleasant tasting and palatable worm syrup for the removal of round worms (ascaridia sp.) in guinea pigs, rabbits and rats. 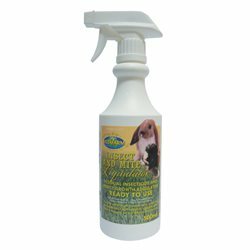 Inca Pestene Insect Powder is designed specifically for control of lice, mites and fleas on dogs, cats, fowls, calves, horses and goats. Sprinkle liberally through feathers/coat and apply to environment as well. 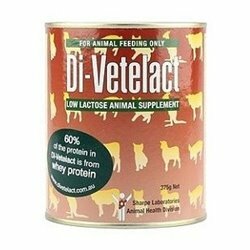 Di-Vetelact is a low lactose animal milk replacer for ophaned and early weaned animal. 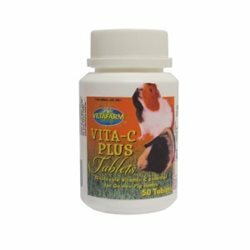 It is also a useful nutritional supplement for pregnant and lactating animals.